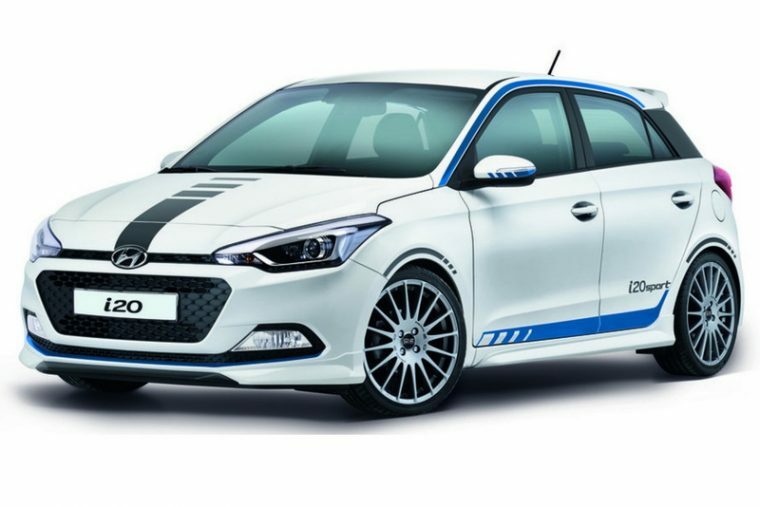 Is Hyundai i20 Sport a Precursor to New N Performance Division? The news that Hyundai is planning to launch a performance-based sub-brand–in addition to the Genesis luxury brand it recently launched–has the Korean brand’s fans in a tizzy. Hyundai hasn’t announced many details about its N performance line yet, but we might have gotten a glimpse of what the automaker has in the works. This March, the Hyundai i20 Sport will go on sale exclusively in Germany, where Hyundai Motorsport is based. This athletic, hatchback variant of Hyundai’s popular-selling i20 has received a number of performance upgrades, including colored flairs, a rear spoiler, chrome-tipped exhaust, lowered suspension, wider wheels, an aero kit, and a 1.0-liter Kappa T-GDI three-cylinder EcoBoost engine that achieves an impressive 118 horsepower for its size. The unit was developed in-house by Hyundai Motor’s European Technical Center in Germany. Clearly the i20 Sport takes some cues from the brand’s World Rally Championship entrant. So is the Hyundai i20 Sport an indicator of what the N division has in store? Considering what recently-recruited officers have shown with the N 2025 Vision Gran Turismo concept, WRC season, and now this–it looks like we’re headed in the right direction.